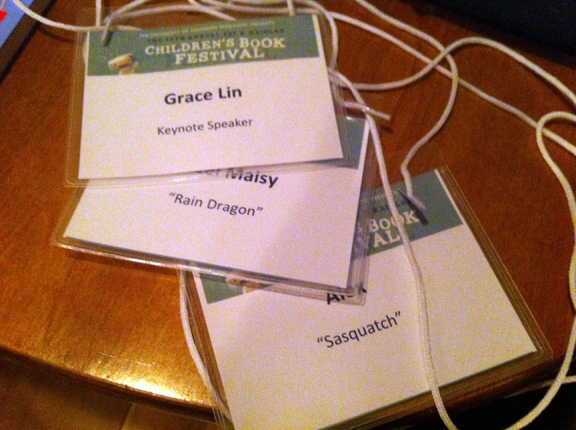 Name tags for the whole family, courtesy of the wonderful coordinators of the Fay B. Kaigler Children's Festival which I spoke at on last Friday. More on that later...the blog has much to catch up on but more immediate matters must be attended to first (unpacking, apartment staging and getting my taxes out! ).